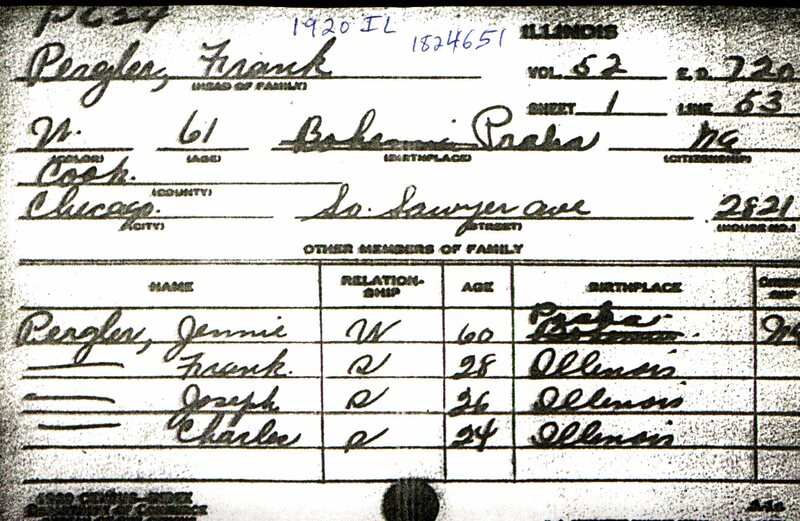 To the best of Frank's recollection of the history, his mother, Frances Yunek Pergler, died from a ruptured appendix. She had gone in to the Chicago County Hospital to be treated for Appendicitis. While she was being taken around a corner in the Hopital's hallway, she rolled off the gurney and fell to the ground - rupturing her appendix.